To enable iCloud on your Windows PC first set up your iCloud account on your other iOS devices or Mac, then install iCloud for Windows. 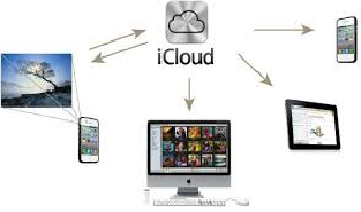 Open iCloud for Windows and sign in with the Apple ID you used to create your iCloud account. Select the iCloud services you’d like to enable and click Apply. When you enable iCloud Drive and Photos, iCloud for Windows creates new folders for those files in Windows Explorer. And when you save new files in those folders, the files will also automatically appear on your other iOS devices. When you turn on iCloud Photo Library, all the photos and videos you take with iPhone or iPad are automatically uploaded, so you can access them from your iPhone, iPad, iPod touch, Mac, and PC and on iCloud.com. By storing all your photos and videos safely in iCloud, you’ll have more space on your iPhone to take even more great shots. And iCloud Photo Sharing makes it easy to show off just the photos and videos you want to just the people you want to see them. With iCloud Drive, you can securely store all your files in iCloud and access them from your iPhone or iPad in the new Files app, from your Mac, from a PC, or on iCloud.com. And you can easily invite people to view, download, or work on a file with you from anywhere. No creating copies, managing versions, or adding email attachments. iCloud backs up your iOS devices each night when they’re connected to power and Wi‑Fi, so you can easily restore all your information. And when you get a new device, your files automatically restore from iCloud so you won’t lose a beat. Start with 5GB free. Add more or share a plan with your family. You get 5GB of free iCloud storage to get started. If you have larger collections of photos, videos, or documents and more devices to back up, you can easily upgrade your storage plan — up to 2TB. And now you can share a 200GB or 2TB iCloud storage plan with the whole family, so each family member won’t need to buy separate plans. You automatically get 5GB of iCloud storage just for signing up. When you increase your storage plan, starting at 50GB for $0.99 (USD) a month, you get even more space to securely store what’s more important to you in Apple’s iCloud. That means extra room for all of your photos, videos, documents, apps, and more. You can upgrade right from your iPhone, iPad, iPod touch, Mac, or PC. How to upgrade your iCloud Storage. Click View Account, and then follow the instructions. Use iCloud Photo Library on your Windows PC to download all of the photos and videos from iCloud to your computer, or upload your Windows Pictures library to iCloud. And when you turn on iCloud Photo Sharing, you can share your captured memories with just the people you choose. ← All You Need To Know About Google Play Services.